Built in 1961 by Morgan Giles, the Monaco class were substantial and considered the equivalent to a Rolls Royce of the sea. 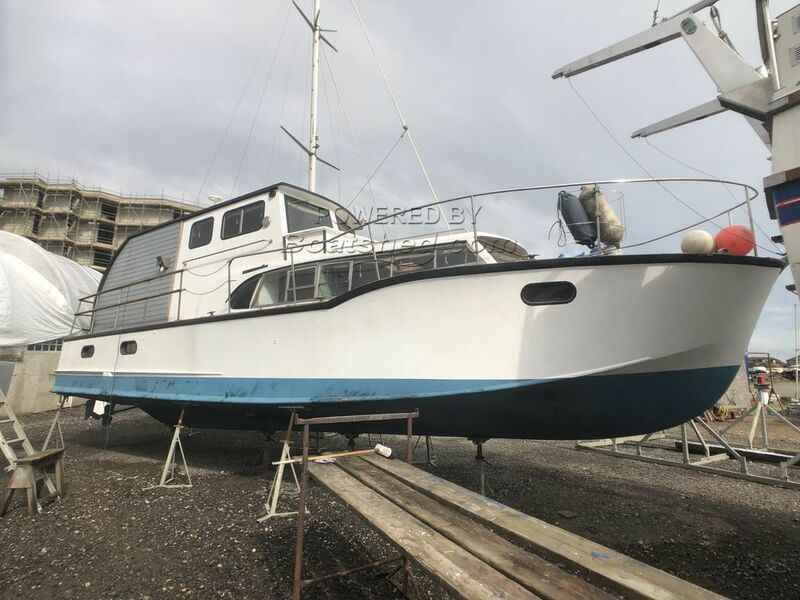 This Monaco Class has been lovingly converted over the last 2 years into living accommodation, perfect for a couple or small family looking to live life afloat. This boat oozes light and charm, hand made furniture, built by an experienced cabinet maker creates plenty of space and storage, with a beautiful ash galley. The coach roof wheelhouse adds plenty of character and still functions. Fully extended aft, there is a double berth which will provide panoramic views. A hatch leads to the engine bay and houses 2 Rootes Lister Blackstone engines which, in her day, powered her to come 7th in the first Cowes-Torquay race. The aft cabin provides great accommodation for 2 berths or storage - this area still needs finishing and insulating. The engines would need to be checked and fully serviced before use, however, they did start at first turn last year when she was placed in the water. Certain areas, above the waterline, are showing signs of leaks and need addressing and one if the windows has a large crack, though this hasn’t caused any issues. Her hull does need significant work to render her seaworthy, in our opinion - a survey is available at discounted rates - please ask for a copy. With the rise in house prices and mortgage rates more and more people are looking to live afloat - this 1961 Monaco Class should certainly provide that. This Morgan Giles Monaco Class TSDY has been personally photographed and viewed by Jules Archer of Boatshed Brighton. Click here for contact details.